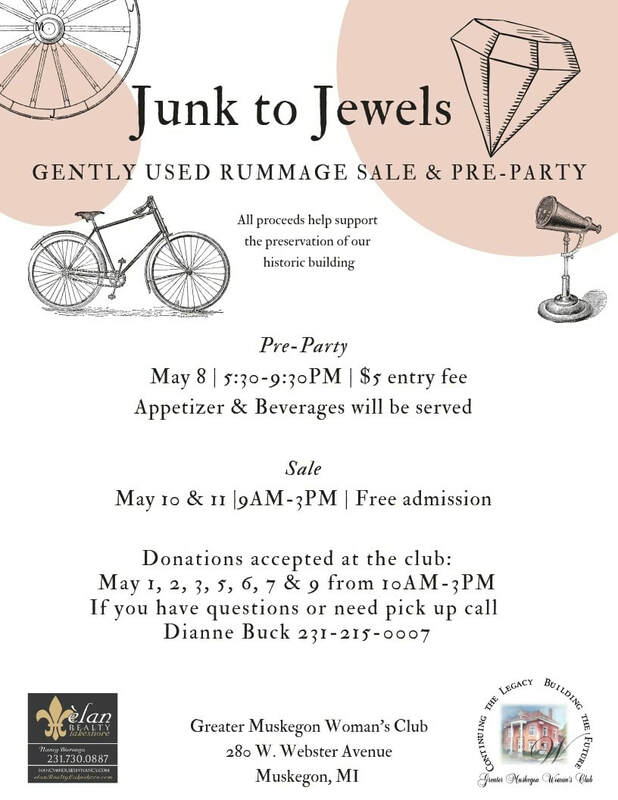 This years Junk to Jewels will be held May 10 & 11, 2019. When the women of the Greater Muskegon Woman's Club cleaned out the basement of the Clubhouse, they found many forgotten treasures that were no longer useful to the Club, but that still had a lot of use in them. That's when they came up with the idea of having a rummage sale, which they called "Junk to Jewels." Almost anyone who is online is familiar with Pinterest and the many ways people make beautiful things from things they find at rummage sales and garage sales. That was the idea behind Junk to Jewels. Four Mahogany chairs donated to the Junk to Jewels Rummage Sale. 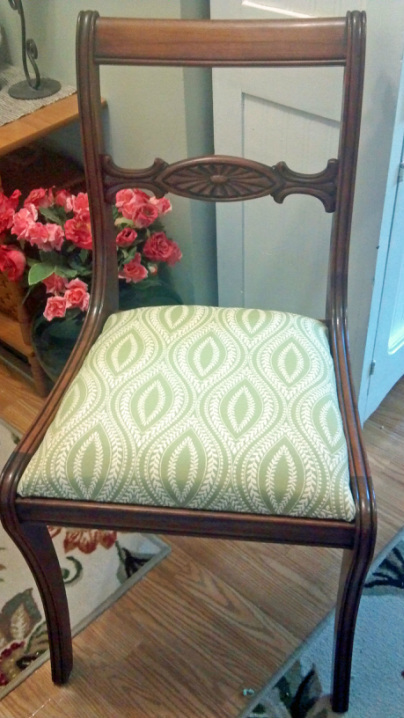 Same chairs become Jewels after a lucky buyer took them home. Junk to Jewels is usually held in March inside the GMWC Clubhouse. Many items are donated to the sale, like the chairs above. You never know what treasures you'll find.